What are your thoughts on what might be trending for 2014? I think that getting your content in front of the right people is the most important of the seven listed in this article. This is what will ultimately lead to more conversions and as a result be much more cost effective. One important item I feel that was left out is the impact that onsite communities can have in fostering brand ambassadors out of existing customers and employees. All studies show that recommendations and referrals (WOM) has by far the biggest impact in marketing. 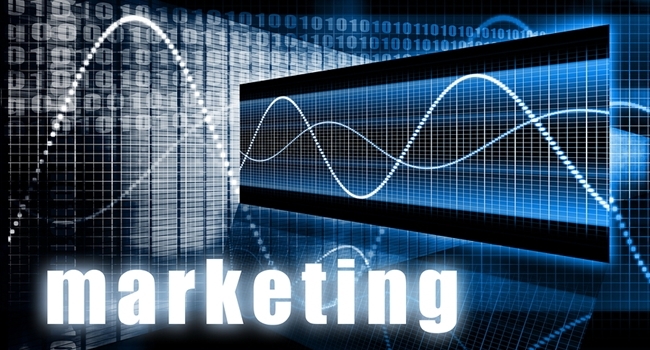 2014 should be a very interesting year in digital marketing. Businesses are beginning to show more mature digital mindsets which are driving their agencies towards innovation, new media platforms are changing the landscape and the past few years of experimentation should lean toward major advancements and changes in effective digital communication. In my research I have found the following trends that should become evident in 2014. People hate wasting time. I find myself, like many others, looking at the length of the video before deciding to watch it. Anything more than three minutes and I am not usually interested. Short video is making waves in the marketing world with popular networks like Vine building around the concept. Instagram’s video upload has added popularity to this trends and brands are already experimenting with video to share brand experiences. Check out the Yuppiechef Instagram profile to see how they are using video to let customers into the everyday life of their business. A great educational YouTube channel is Minute Physics, which shares physics lessons in one minute. With a little over 2-million views it’s proving a very successful education channel. In the past B2C (business to consumer) companies have had success in social media channels by creating conversation and inviting the consumers to join them. B2B (business to business) organisations saw this success and decided to adopt the same strategy. Over the past few years B2B organisations are maturing in their understanding of their social analytics and are realising that conversation is possible in their industries but not necessarily the most valuable marketing component. In 2014 we will see more B2B organisation move towards education strategies instead of conversation strategies. Educating customers on the value and potential of their services. A recent article by Forrester analyst Ryan Skinner reveals how distribution, and specifically earned media, is a core component to successful content marketing. “As organizations continue to focus on using paid, owned and earned media to increase branded content distribution, social media can be used as a support mechanism to enhance distribution to relevant audiences on social media. Brands that enhance paid and earned media campaigns by distributing this content to relevant audiences on social networks can develop an edge in their respective industries,” says Skinner. Doing business today has highlighted the important need for all businesses to begin building their own digital business resources in order to compete in the digital world. Many services that digital agencies provide their clients will move in house leaving digital agencies in a state of necessary restructuring and innovation. The role of the digital agency will change from providing operational services in the marketing world to providing strategy, innovation and creative skills to the industry. This will see the digital agency world mature and help their clients mature in building their digital competency. Many social media campaigns focus on the collection and use of personal data. In South Africa the POPI Act (Protection of Personal Information) will come into play in 2014 and change the way in which this data can be used and reused. In the same light as developed economies, business in developing economies who process personal information will be highlighted and scrutinised. Designing a social campaign means to provide the key elements of personalisation, consumer voice and community. It will become a key success for marketers to focus on designing combined physical and digital experiences in order to create moments of serendipity for the clients and consumers. Fantastic examples of this are Coca Cola’s Share a Coke campaign, fashion retailer Urban Hilton Weiner’s ‘pay with a selfie’ campaign and Carling Black Label’s interactive taste challenge. In the past few years smartphone apps have been digital replications of existing business services. In 2014 we should see a move towards businesses using mobile platforms to deliver new services to the market. Leading the way in South Africa is health insurer Discovery with its HealthID app, which combines the power of big data and mobile delivery.